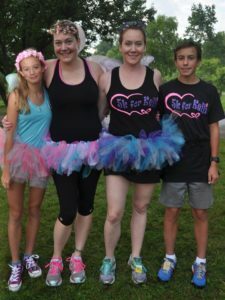 The 5th annual 5k for Kelli run/walk is happening this Saturday, August 5th, 2017, which honors and supports women with breast cancer, and to remember those who lost the fight. This is a super fun event for the whole family. It is a 3.1 mile out and back course that begins and ends at Wegerzyn Gardens and winds along the beautiful Stillwater River. This race is in memory of Kelli James who lost her battle with breast cancer in 2006, and is organized by her two loving sisters. 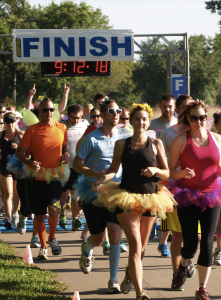 Kelli loved fairies so participants are encouraged to wear tutus, wings, and flower crowns. No fairy gear? No problem! Handmade gear is available at the merchandise tent. They will also offer free fairy face painting from our friends at Princeton Management and free colored hair spraying from Great Clips. Plan to enjoy a pre-race stretch and warm up from Day Yoga Studio and various massage therapists will be on hand offering free chair massage. The Shakery Juice Bar will be serving up delicious juices to enjoy before or after the race. Bring a few extra dollars to buy some raffle tickets, with awesome prizes including cash, a 50” flat screen TV, mountain bikes, Kings Island tickets, Cincinnati Reds tickets, massages, spa treatments, yoga classes, restaurant gift cards and grocery shopping sprees. Organizers will present medals, pint glasses and gift cards to the Top 3 Male and Female overall and the Top 3 Male and Female in each age category. When: Saturday August 5th– Onsite registration starts at 7:30 am. Race starts at 9 am. Where: Wegerzyn Gardens 1301 E. Siebenthaler Avenue in Dayton. 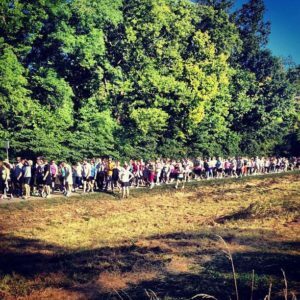 Cost: 5k Run/Walk-registration only $25! You can register online at speedy-feet.com or download our paper registration form. Awards: Overall top three male and overall top three female plus top three male and female in each category. No duplications. Medals, pint glasses, and gift cards to all winners.